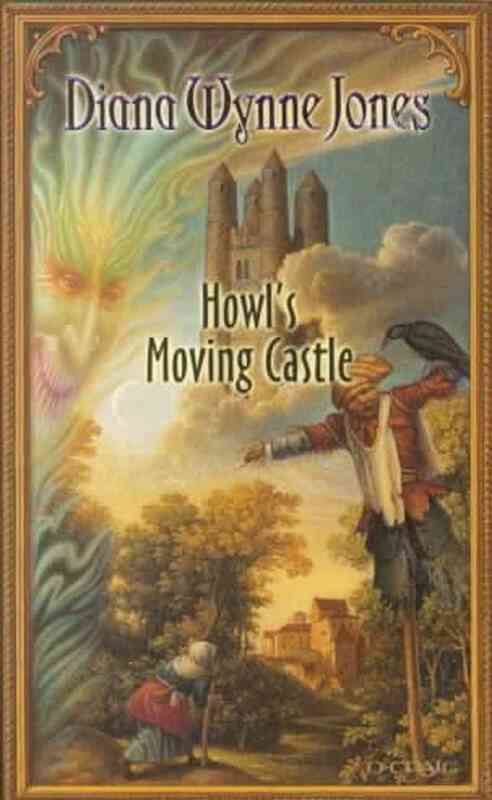 For the October meeting of the Chicago Feminism Book Club, we discussed "Howl's Moving Castle" (1986) by Dianna Wynne Jones. I should say, personally, that I found this immensely enjoyable. I'd had it on my list for a while—Farah Mendlesohn has a lot of praise for this in her "Rhetorics of Fantasy" (2008)—and glad I got around to reading it. It's very fresh and lively-feeling, humorous, with a lot of quiet trope-subversions. One of the first things we talked about is how, seemingly-unusually for a children's book, aging and the perception of the elderly is a major theme. Sophie's curse—which transforms her into an old woman—causes her to be invisible to many other characters, but also gives her a very interesting sense of agency. She frequently does things rather courageously, noting that "yesterday when I was a girl I would have been too timid". We're extremely skeptical of the "Howl & Sophie happily ever after ending", noting that it's brief enough that the book seems to want to let us entertain that skepticism. Readers familiar with the sequel let us know that their relationship isn't at the center of them, and that Sophie remains very independent and strong-minded. 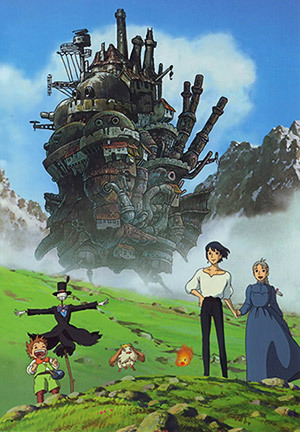 Talked about the movie adaptation by Studio Ghibli, which captures a lot of the whimsy and a few things, like the scarecrow, very well. We wondered about the reality of Fanny as an exploitative step-mother or not. One of the most quietly sophisticated things about this novel is that Sophie (and thus the reader) come to realize that truths are complicated, and that you can't just trust every viewpoint you encounter. We liked the agency of Sophie and her sisters, and the theme of characters doing what's best for themselves, going after their own desires, even if that's goes against social expectation. Debate over whether this passes the Bechdel—it does, but a lot of the conversations are about men even when they're not around. Lots of talk about the writing itself here, including how vivid and colorful it is. We like the sort of "Reverse Narnia" of Wales, where Sophie lives in a kind of magical realm that is normal to her, and sees a magical trip to modern Wales as just one more weird adventure. Suggestion made that Wales & Ohio are narratively interchangeable. We were intrigued by the idea of evil in this book, particularly by the idea that the Witch of the Waste and her fire-demon aren't inherently evil, but became so by their association—which might also happen to Howl & Calcifer. Again, there's a surprising maturity at a few different points here, with Sophie realizing that people are the way they are because of the way past relationships have shaped them. We listed a lot of our favorite young works (either from when we were young, or later) that we might shelve near this—the Harry Potter books, Judy Bloom, "The Boxcar Children", "Little Women", and Enid Blyton. Keep up with the Chicago Feminist Book Club on Meetup.